Sericostachys scandens is a monocarpic and heliophilous liana, native in tropical African forests. In the montane forests of the Kahuzi-Biega National Park (KBNP) (East of DR Congo), it has been expanding very strongly for a decade, and is currently considered as having negative impacts on biodiversity conservation. In this paper, we test if S. scandens differs from three co-occurring, native, non spreading lianas (Gouania longispicata, Tacazzea apiculata and Adenia bequaertii) for functional traits which might influence plant expansion. For leaf traits (SLA, dry matter content, nitrogen concentration), S. scandens did not show extreme values compared to those of the three other lianas. In contrast, S. scandens had much higher biomass allocation to sexual reproduction. It also differs from the three other lianas for its reproductive strategy that combines both vegetative propagation and sexual reproduction, and propagule dispersal by wind. Moreover, S. scandens has larger leaves and a greater number of lateral branches per unit stem length. 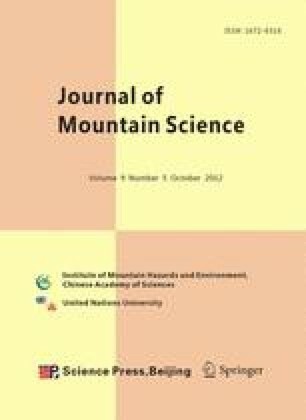 It is argued that the particular combination of functional traits exhibited by S. scandens may in part explain its propensity to behave as an opportunistic weed in the disturbed areas in the montane forests of Kahuzi-Biega.